Emma Gillies has plenty to thank her brother Ben for. The 11-year-old from Oamaru and Ben’s gorgeous little chestnut Amberfield Golden Charm were comfortable winners of the ESNZ Cat A High Points 70cm after taking out the class at HOY. It has been a hugely successful season for the Oamaru youngster, winning the South Island Cat A, National Cat A and now series. Ben too has enjoyed plenty of success aboard Spuddy, winning the National Cat A title on the pony, and started the season aboard Spuddy but soon decided his heart lay more in cricket and rugby, so handed the reins to his older sister. Emma and 17-year-old Spuddy have had a brilliant run at the last 12 shows but chasing series points was not the plan at the beginning of the season. The pony came to the Gillies family from Pippa Collins who has also previously won the national title aboard him. Emma won the same title two years ago aboard Benrose Comet. She’s been riding since she was just two thanks to plenty of encouragement from mum Phillipa, who was also a rider. Older sister Samantha is a huge supporter too. 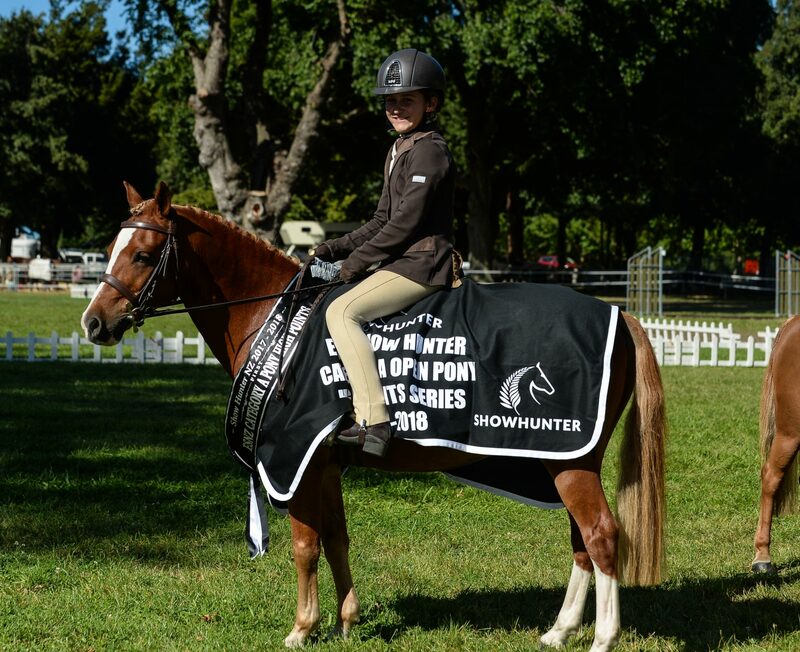 Emma also competes in showjumping and enjoyed plenty of success in 1.1m and mini prix aboard Paint Me Puzzle and A Patchie Pony, and won the South Island Canterbury 90cm Showjumping Series on her Kaimanawa Patui Ataaua. The family live on 1100 cow dairy farm at Waitoki Bridge. All three children are heavily involved with day-to-day farm life and help with the raising of 850 calves. ESNZ Cat A High Points 70cm: Emma Gillies, Amberfield Golden Charm 71 points 1, Vienna Wilson, Love Joy 62 2, Emma McKelvie, Fordlands Lady Betty 55 3, Emma Bates, My Gemma Bear 52 4.